Cardiac auscultation is the standard examination method used worldwide to screen for heart defects by identifying murmurs. Yet, the lack of cardiac auscultation skill in graduating medical and nursing students continues to be demonstrated. A new approach can reverse this trend. 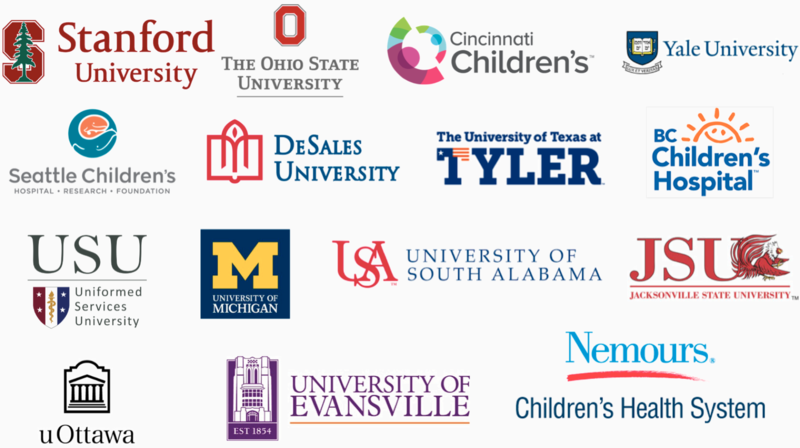 eMurmur University and eMurmur Primer apps are gaining traction in universities across North America. 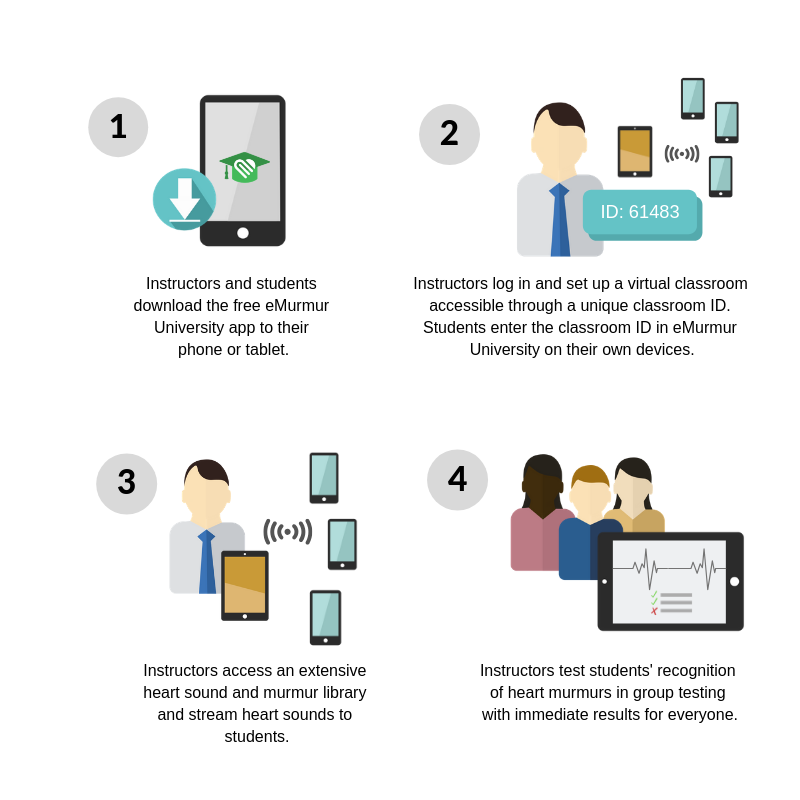 eMurmur University and eMurmur Primer prime students’ auscultation skills through interactive apps to hear over 1,000+ real patient recordings and to identify and analyze heart murmurs. Ability to stream 1000+ specific real-patient heart sounds to multiple trainees, facilitated by an instructor through eMurmur University. Self-paced learning through eMurmur Primer for all types of trainees learning cardiac auscultation, including nursing, physician assistant, and medical students. All murmur recordings are verified by gold standard echocardiogram and cardiologist reading. All murmur recordings are verified by gold standard echocardiogram and cardiologist reading. Library of 60+ pathologies includes all rare and common murmur types. Our apps are now Available in Apple IOS store, and Android Play Store. Hear it. Know it. See it. eMurmur is a privately-held medical device and artificial intelligence company specializing in Machine Learning approaches for the analysis and classification of complex human data for innovative medical applications. The company also provides a suite of apps for efficient classroom teaching, self-paced learning to leading medical schools, and earning continuing education credits for US nurses and nurse practitioners. Heart disease is the leading cause of death globally for both men & women causing 31% of all deaths (17.7M) annually. Heart auscultation (listening with a stethoscope for irregularities) is the most common screening test and can be an effective way of diagnosing many heart conditions. However, accurate auscultation requires expert-level training and experience. For example only 20-25% of referrals by primary care providers to echocardiography turn out to be pathological heart-murmurs. Artificial intelligence and e-learning through mobile apps are the way of the future for heart auscultation.